Although Bitcoin has proven its ground to innovate the financial sector of the conventional market, the mainstream populace still houses a significant number of campaigners who continue protest against Bitcoin mainstream usage. However, apart from these conventional Bitcoin protesters, the cryptocurrency community faces a somewhat invisible entity that plays a key role in the agenda of disrupting the progress of Bitcoin. 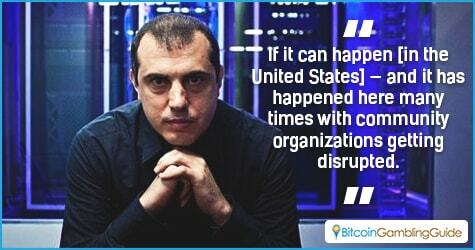 This issue was brought to light by Bitcoin advocate and influencer Andreas Antonopoulus on a panel discussion that was held at Draper University last Nov. 16, 2015. According to Antonopoulus, Bitcoin has faced several hindrances that kept its significant progress on an unfavorable phase, although one of the biggest hurdles to date are these individuals that are consistent on bringing down the reputation of Bitcoin through negative comments, stating opposing views, and trolling. Following the statement of the Bitcoin advocate, Bitcoin Core developer Greg Maxwell, who was also present in the forum, shared his thoughts about the issue. Based on the statements pointed out by these Bitcoin experts, society can conclude that Bitcoin still has a long way to go before convincing society of the essence of its existence. In fact, troll users are also strongly rampant in various Bitcoin departments, especially in the Bitcoin gambling industry. Given that this niche is one of the most competitive fields in cryptocurrency, operators tend to rely on influencing other users through various opinions posted on forums regarding certain brands of Bitcoin dice for example. Therefore, it is possible that the majority of the comments pertaining to the scam and negative activities of a particular Bitcoin casino or gambling platform may be coming from a troll user that is either trolling for fun or trolling for income. 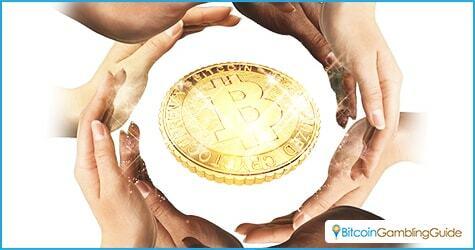 The existence of Bitcoin trolls is an unfavorable factor that resides within Bitcoin. This issue is also disheartening in such a way adherents are pitting up against each other for the sake of their personal gain rather than the overall development of the community. Considering these factors, it is clear that the only way for Bitcoin to completely grow successful is through the help of each and every user in the cryptocurrency bubble. And this starts in the Bitcoin gambling industry, which is also vital in pushing for a high Bitcoin trading volume moving forward.